This article was published on 08/02/2016. In the event that you've been living on the moon for the past few decades, Pokemon is a franchise based on fictional creatures named Pokemon. The franchise started in Japan with the release of a Game Boy video game known as Pocket Monsters Red and Green, which came out on February 27, 1996. 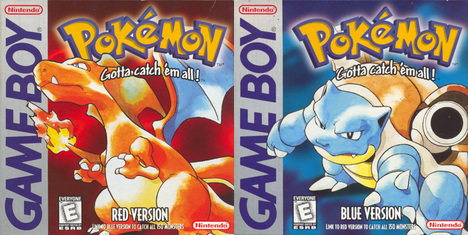 On September 28, 1998, the game was released in North America as Pokemon Red and Blue. And it also came out in Europe sometime in 1999, because nobody cares about them. Pokemon also consisted of more than just video games, giving rise to things like a television series, trading cards, toys, and tons of other stuff. Anyway, it didn't take long for Pokemon to get popular, eventually becoming a worldwide phenomenon. Outside of a few reviews I've written, I haven't said much about Pokemon on this here website. I plan to change that today. For this article, I'm going to discuss my history with the Pokemon franchise. I first learned of Pokemon before it came out in North America by reading an issue of the official Nintendo Power magazine. There was an interview with Nintendo's legendary Shigeru Miyamoto as he talked about the concept of Pokemon. It sounded new and interesting at the time, so I was pretty excited for the game. When it finally got released in North America, I became completely obsessed with Pokemon. I played the games, watched the TV show, collected the cards, bought the toys, and even read some of the comic books. There was a whole store dedicated to Pokemon at my local mall, and I was a frequent patron. Most of my friends were also into Pokemon, and we hooked up our Game Boys together with the Link Cable to trade virtual critters. It was an overall pretty exhilarating experience, but like most things in life, it didn't last forever. 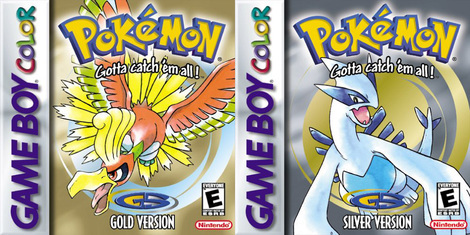 On October 15, 2000, the sequel to Pokemon Red and Blue, Pokemon Gold and Silver, was released for the Game Boy in North America. I had mixed feelings about this. On one hand, I spent most of my time with the first game fantasizing about new Pokemon to catch, which this then-new game offered. On the other hand, it was around this time that I felt like the magic of the series was wearing thin. Most of my friends were no longer into Pokemon by this point, and I myself wasn't particularly compelled to get Gold and Silver. I did, though, because I rationalized it in my head as, "I liked the first game, so obviously, I should get the second one." Unfortunately, I didn't enjoy Gold and Silver that much. The only thing I liked about it was the fact that you could go back and explore the old areas from the first game, but everything else disappointed me. After this, it was clear my relationship with Pokemon would change. 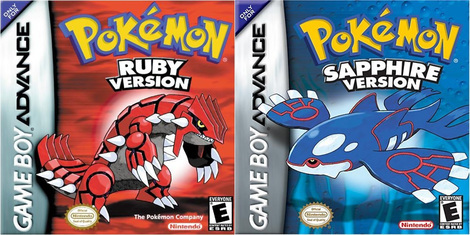 Later on, Pokemon Ruby and Sapphire was released for the Game Boy Advance in North America on March 19, 2003. As crazy as it sounds, my website already existed at this point. In any case, I kept a close eye on Game Boy Advance releases, so I knew about Ruby and Sapphire as soon as it came out. However, I didn't care, not even one bit. It was at this moment that I realized I no longer had any interest in Pokemon. That interest had already waned with Gold and Silver, so by the time Ruby and Sapphire came out, that interest was completely dead. As a result of that, I skipped Ruby and Sapphire. 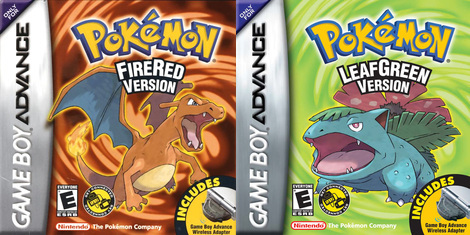 Then, a remake of Pokemon Red and Blue, titled Pokemon FireRed and LeafGreen, came out in North America on September 9, 2004. This game attempted to exploit my nostalgia, but that didn't work, because I skipped it, too. Near the North American release of Pokemon Diamond and Pearl, which was April 22, 2007, a friend of mine tried to get me back into Pokemon. We had countless conversations on the topic, and he told me about how the games had an incredibly in-depth competitive side to them. Diamond and Pearl was going to be the first official game to support online multiplayer, which would further enhance this competitive factor. Basically, my friend wanted me to get the game so we could challenge each other to online Pokemon battles. I told him I wasn't into Pokemon anymore, but he said I should consider giving it another shot, this time checking out its competitive side. While I had battled friends in Pokemon before with Red and Blue, I never truly got to experience the competitive scene. My friend did, and he wanted to get me into it, too. I decided to give it a try. I also figured this'd be a good opportunity to reevaluate my feelings toward the series to see if I still didn't like it. In preparation for Diamond and Pearl, I decided to go back and play all the major Pokemon games I missed. I went with Pokemon Emerald, which was a slightly enhanced version of Ruby and Sapphire, and I also played through FireRed and LeafGreen. I blitzed through these games rather quickly, so I don't remember much about them, but I do remember disliking Emerald. Once I finished those, I picked up Diamond and Pearl when it came out and began playing it. I don't remember much about this game, either, but I did beat it. Throughout my time with Diamond and Pearl, I'd challenge my friend to online Pokemon battles, only to lose every single time. It was obvious that he was way better at Pokemon than me, probably due to having played them consistently throughout the years, whereas I took a big hiatus. Either way, I wasn't enjoying myself, so I eventually stopped playing, much to my friend's chagrin. Since then, I haven't played a single Pokemon game. I eventually came to the conclusion that Pokemon just wasn't for me anymore; I simply outgrew it. There was no longer anything I enjoyed about Pokemon. I hated the turn-based battles, the random encounters, had zero interest in catching them all, and the competitive scene was too involved for me. Prior to Diamond and Pearl, I had some lingering thoughts that maybe, if I gave Pokemon another chance, I would like it again. Diamond and Pearl was that second chance and I still wasn't feeling the magic. It was apparent that the magic was gone for good, at least for me. My brief stint with Diamond and Pearl completely solidified this fact in my mind, removing any doubts I had. Presently, I have no plans to ever play another Pokemon game. If you like Pokemon, that's fine, but I can't relate. 1,388,100 people love this site.